The go-cart track was located on the south side of The Strip, opposite Eddie’s Grill. It is parking lot for that business. The track evolved from the bicycle track that was in the same location. 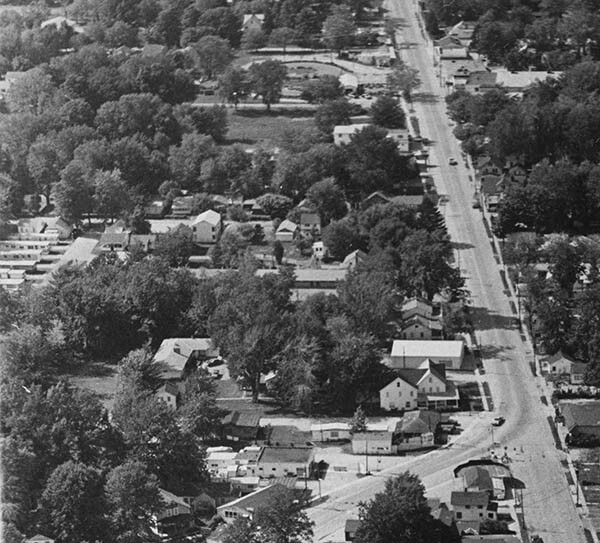 This aerial photo of The Strip shows the track in the upper portion of the photo, looking west along The Strip. Undated photo from archives of The Star Beacon.